Think about it: do you know anyone who doesn’t love Italian food? Who can resist the comforting pasta, the zesty sauces, the cheese? 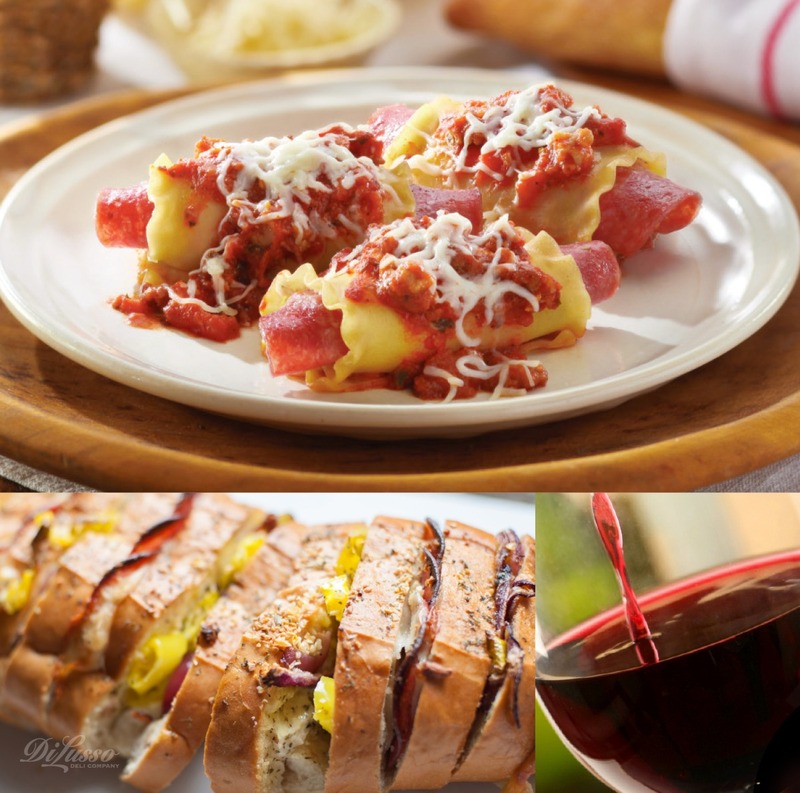 Sometimes food is worth celebrating just because it’s so delicious, so how about some food-love Italian style? First, a very short primer. Saying “Italian cuisine” is a huge generalization in that the country is made up of 20 distinct cuisines, each with its own traditions and techniques. In fact, many recipes vary from one village to the next! Variations in cooking are largely influenced by geography and a particular region’s resources, weather, etc. Calabria, Emilia-Romagna, Lombardy, Sicily and Tuscany are just a few of the regions you may be familiar with. Herbs and spices typical of Italian cuisine are basil, parsley, oregano, bay leaves, sage, rosemary, thyme and hot pepper. Now, let’s plan una sera Italiana! The menu? 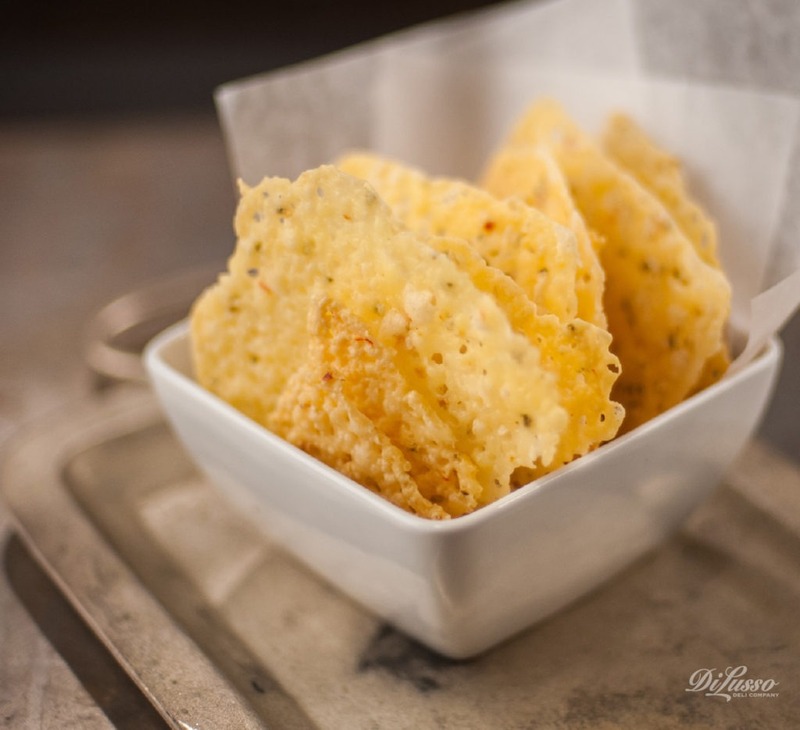 Start with Baked Deli Cheese Crisps, or fricos. They are unbelievably easy to make—just slices of cheese fried until crispy--and incredibly yummy, something sure to appeal to both adults and children for their distinctive texture and delicious flavor. DI LUSSO® Provolone or Pepper Jack are especially good for fricos. 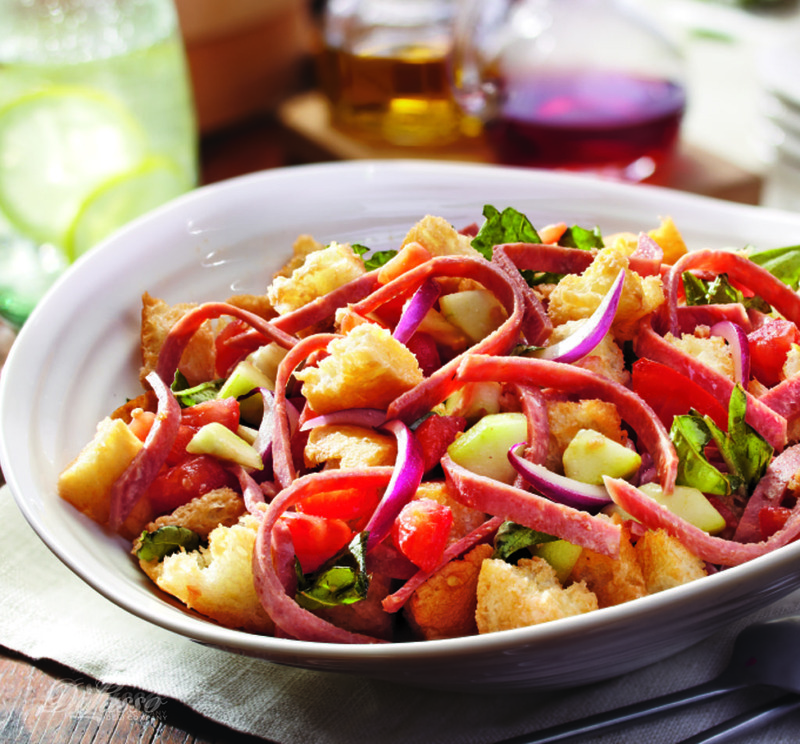 Next up, put together Italian Bread Salad, filled with chopped tomato, red onion, DI LUSSO® Genoa Salami and lots of fresh basil. It’s great served as a salad course but hearty enough to be a main course in itself, a wonderful mélange of textures from the crunchy onions and cucumbers to the chunks of bread that soak up the balsamic dressing. 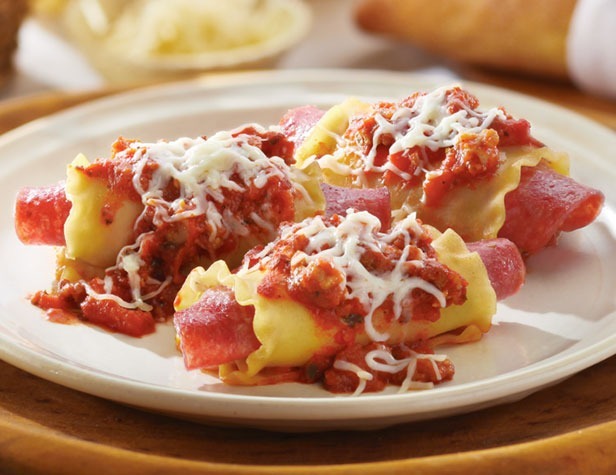 For an easy hot entrée, Three Cheese Salami and Sausage Lasagna Roll Ups and/or zesty, cheesy Genoa Pizza are both satisfying and family friendly, with their familiar Italian flavors of tomato sauce, melty mozzarella and Provolone cheeses, Italian herbs and spices and of course plenty of zesty DI LUSSO® Genoa Salami. Slice a loaf of Italian bread in 1-inch intervals—do NOT cut all the way through. Spread the mayo mixture on each slice of bread. 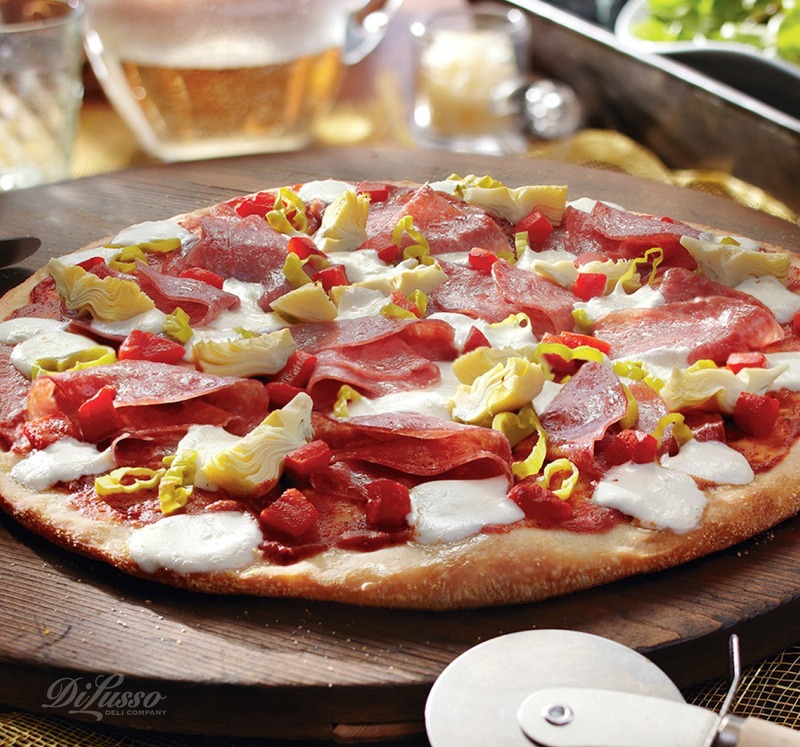 Tuck slices of DI LUSSO® Dry Salami, Provolone and Mozzarella into every other slice. In remaining slices, insert pepperoncini slices and thinly sliced red onion that has been sautéed in olive oil until soft. 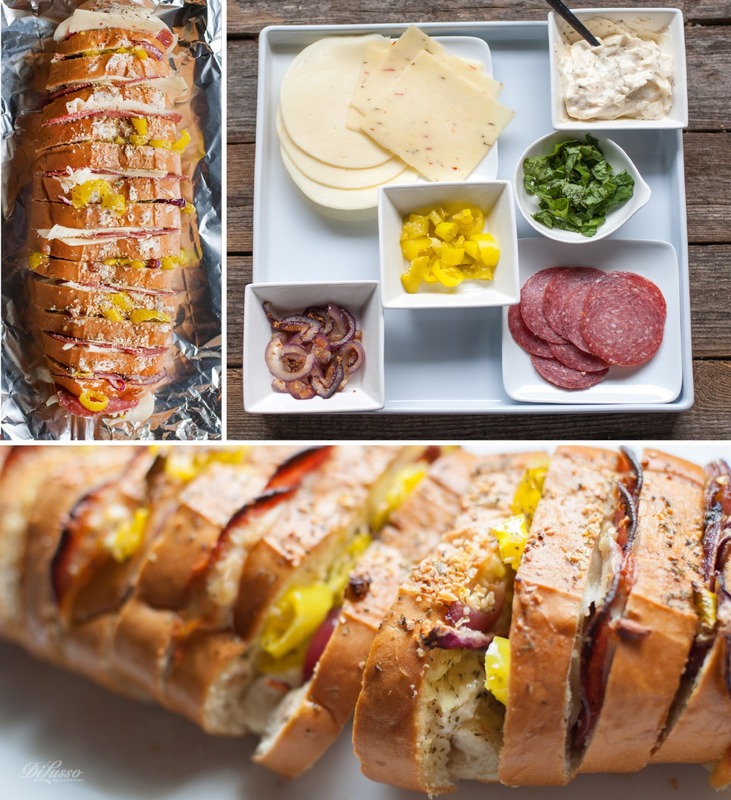 Wrap tightly in foil and bake at 350° F until cheese is completely melted and bread is slightly crispy on the outside. End your meal (if anyone has room) with a simple Italian gelato.